Nostalgia. That sentimental feeling of remembrance for a time long in the past. 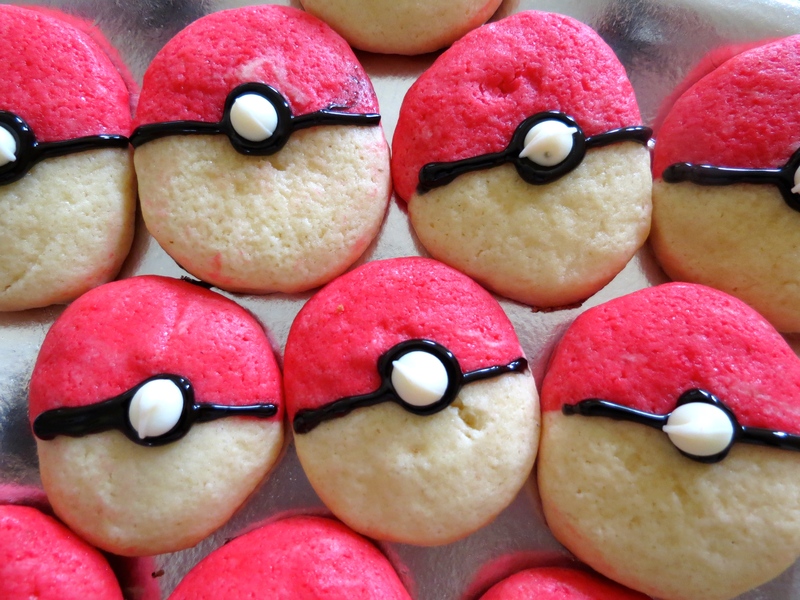 Recently I experienced a great wave of nostalgia when I decided to bake these Pokeball cookies. These adorable sugar cookies were not for me, they were for a friend of mine who absolutely LOVES Pokemon. He refuses to outgrow the little Japanese cartoon animals and so I decided to make these special treats for him. 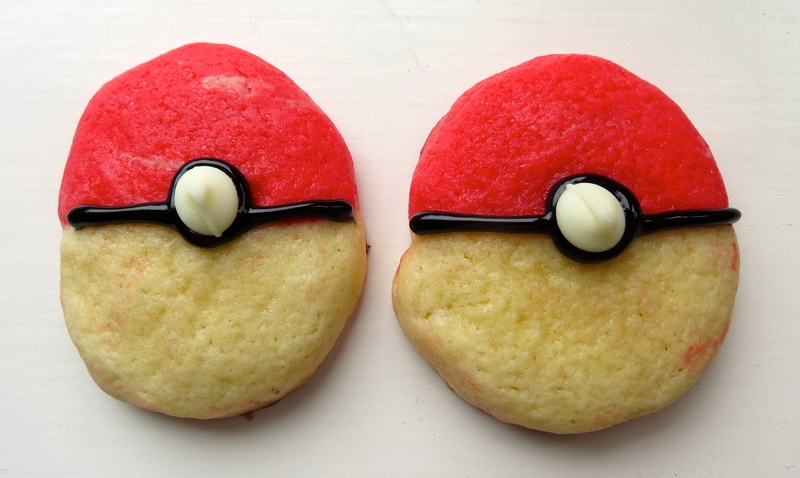 Anyways, these cookies were a gift for my friend, but I can imagine they would also be good for a Pokemon themed birthday party, or if you also simply want to relive the simpler times… The process to make these cookies is a bit more involved than usual, but each step is important to achieve that perfect taste and texture! They tasted lovely and my friend was overjoyed with his present!